To ensure non-stop services and city’s beauty and peace, workers in bus stations, electricity companies and sanitation companies have worked during Tet holidays ( the Lunar New Year). Many employees of Saigon Power Company have taken turns to work relentlessly so that they can handle incidents as quickly as possible. In the managing ward, chief of the shift on the third day in the lunar year Dinh Tho Tong and his colleagues were watching carefully the chart of power net 22kV of the districts 1 and 3. Statistically, more than 20 power incidents were repaired from the final day last year to the second day of the new year of the pig. Meantime, to retain the city’s good view, thousands of sanitation workers have cleaned roads relentlessly. 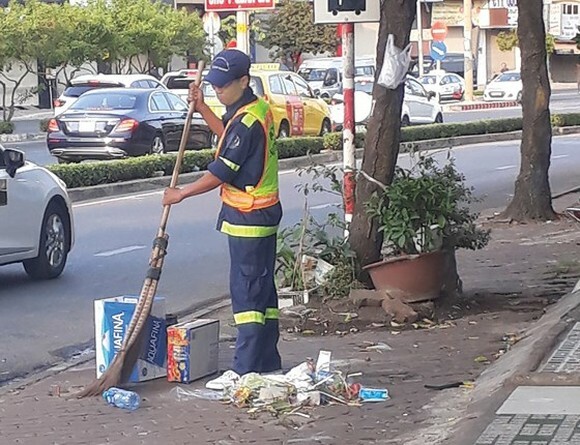 Sanitation worker Nguyen Van Thanh said all sanitation workers had to clean the roads before the New Year Eve, and then they were eligible to have one day off; just 20 percent of them had to work on the first day of the lunar new year to make sure all paths clean. 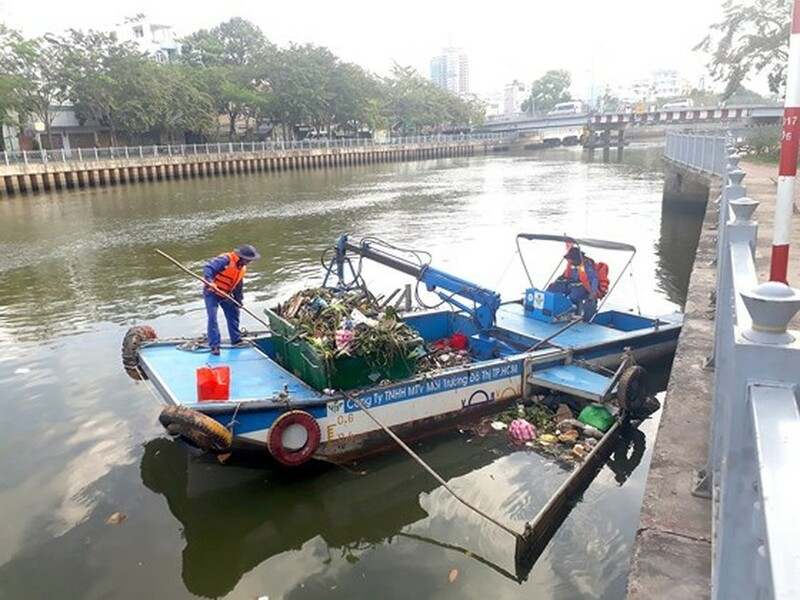 Last but not least, to retain the Nhieu Loc – Thi Nghe canal’s view, sanitation workers had to start working from 6 AM in the second day of the lunar new year. 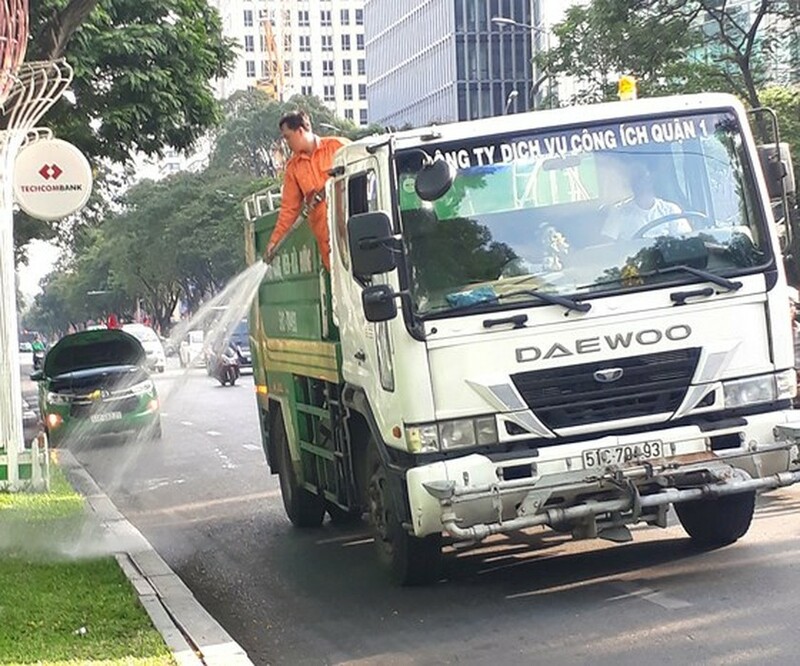 The good and fresh view of spring is still seen in the city space with beautiful looks of tree and flowers thanks to workers of the Greenery Park Company who have kept watering trees and flowers in streets.